Milk bars played a bit part of suburban life in the Australia that I grew up in. You would walk to the milk bar to get milk and papers for your parents, mixed lollies, and summer ice creams. 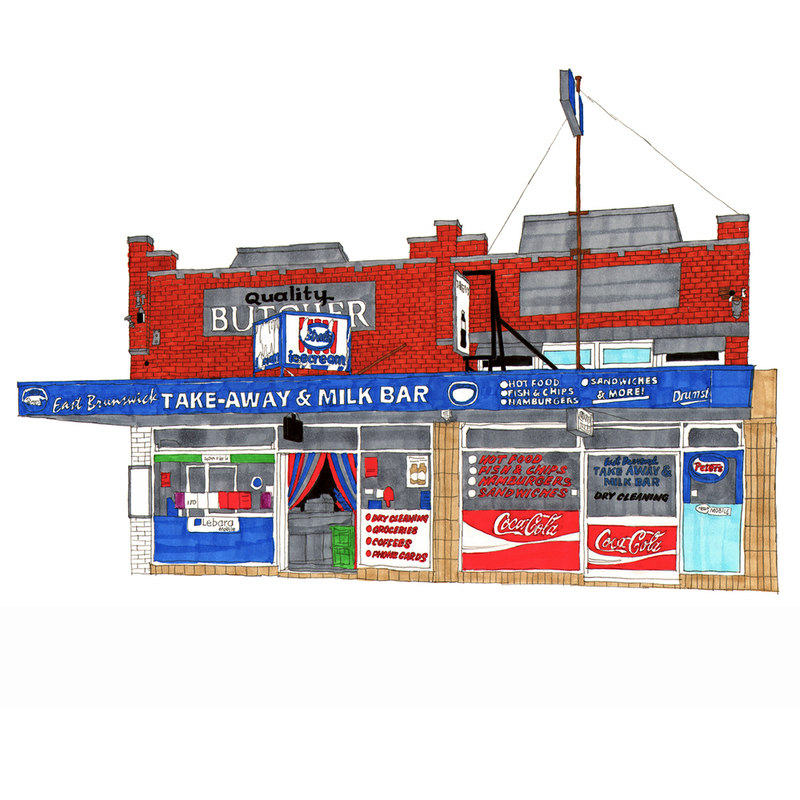 In my seaside home town the milk bar was also the local chippery. But the place of milk bars has become less central in our lives. 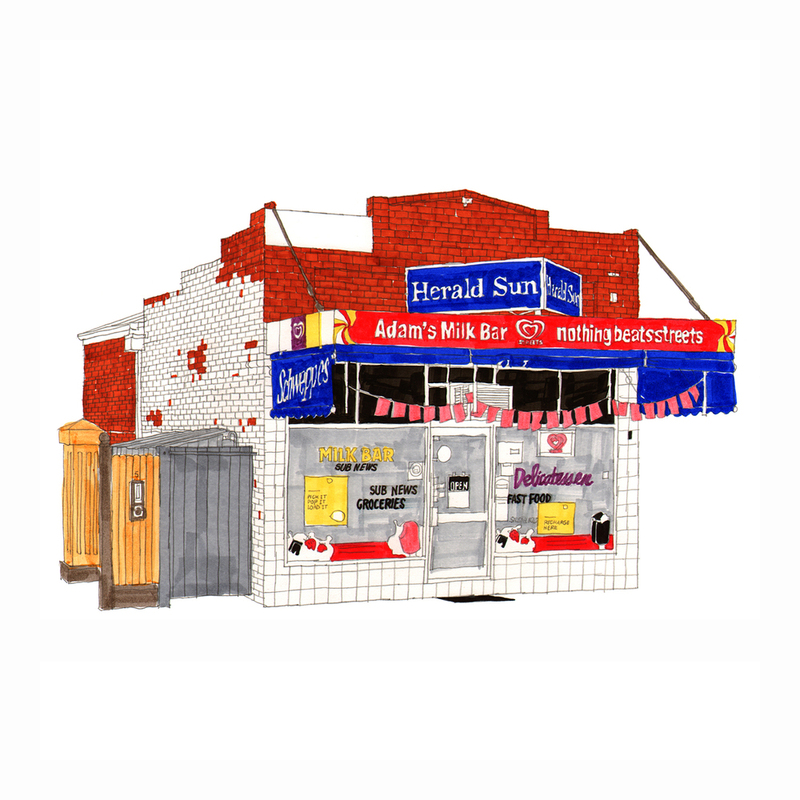 This set of illustrations records, nostalgically, some of the local milk bars that I find while riding around Melbourne's inner north. And because the branding and advertising on milk bars changes so often, these drawings are also a snapshot of the time.